My favorite Columbus folk band, Saintseneca, has recorded an absolutely stunning session for Daytrotter.com which premiered this morning! Check it out, but get ready for your socks to be knocked off of your feet. Columbus, Ohio bands sure are making waves on the internet! Check out these other amazing bands from my city. 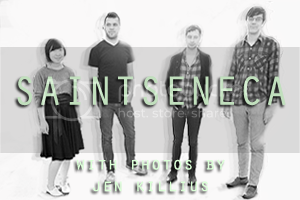 Read Jack in the Pocket’s interview with Saintseneca by clicking the photo below.